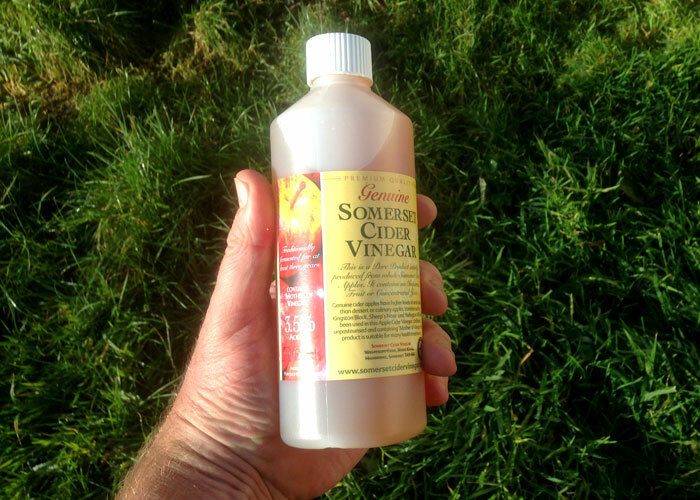 Please click the button below to order handy size 500ml bottle of Somerset Cider Vinegar. 500ml size can be delivered to anywhere in the UK that receives Royal Mail including Scottish Highlands and Islands, Northern Ireland etc. Please read notes on shop and delivery instructions below. £4.30 (plus £3.85 postage and packing). 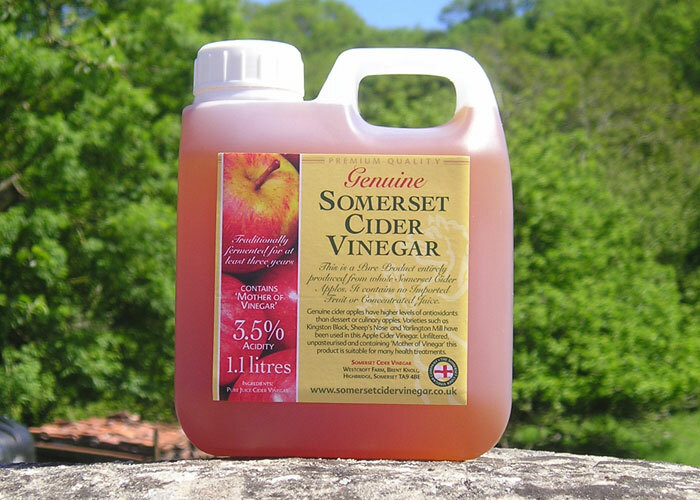 Please click the button below to order 1.1 litre jerry-can of Somerset Cider Vinegar. 1.1 litre size can be delivered to anywhere in the UK that receives Royal Mail including Scottish Highlands and Islands, Northern Ireland etc. Please read notes on shop and delivery instructions below. £7.10 (plus £3.85 postage and packing). 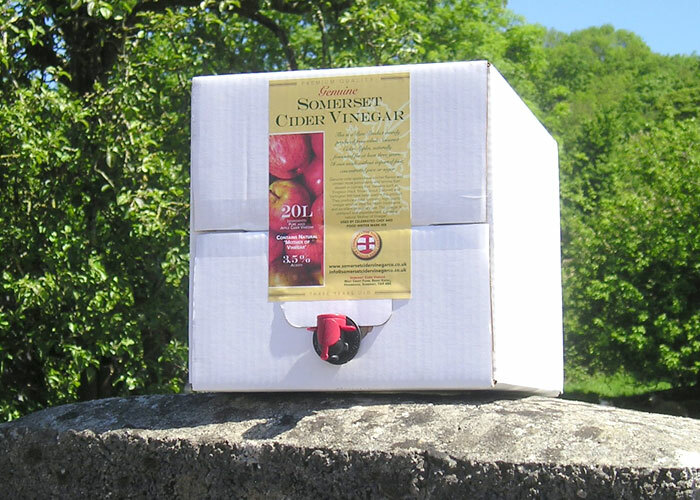 Please click the button below to order 2.5 litre jerry-can of Somerset Cider Vinegar. Please leave a message on your order form telling us where your parcel can be left if you miss your delivery. Our Courier will text a delivery time 'window'. Notes on using the shop and delivery are below. £11.69 (plus £8.70 postage and packing). 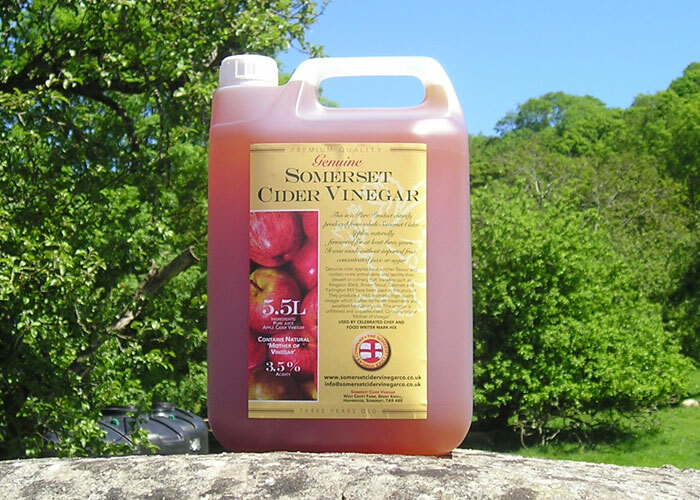 Please click the button below to order 5.5 litre jerry-can of Somerset Cider Vinegar. Please leave a message on your order form telling us where your parcel can be left if you miss your delivery. Our Courier will text a delivery time 'window'. Notes on using the shop and delivery are below. £16.70 (plus £8.90 postage and packing). 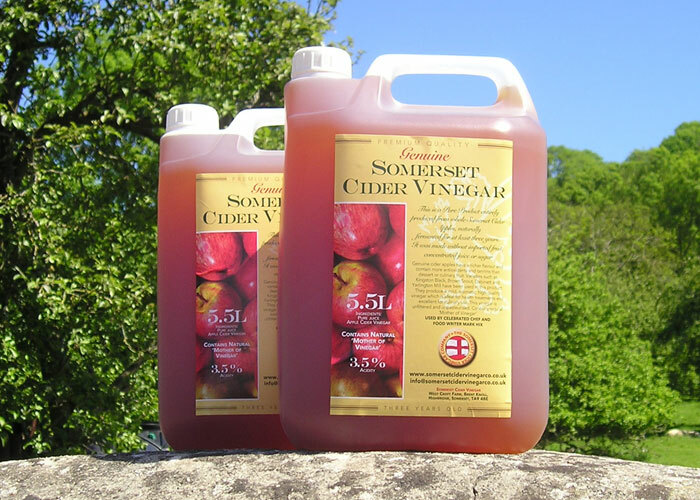 Please click the button below to order 11 litres (two 5.5L jerry-cans) of Somerset Cider Vinegar. Please leave a message on your order form telling us where your parcel can be left if you miss your delivery. Our Courier will text a delivery time 'window'. Notes on using the shop and delivery are below. £34.52 (plus £9.99 postage and packing). 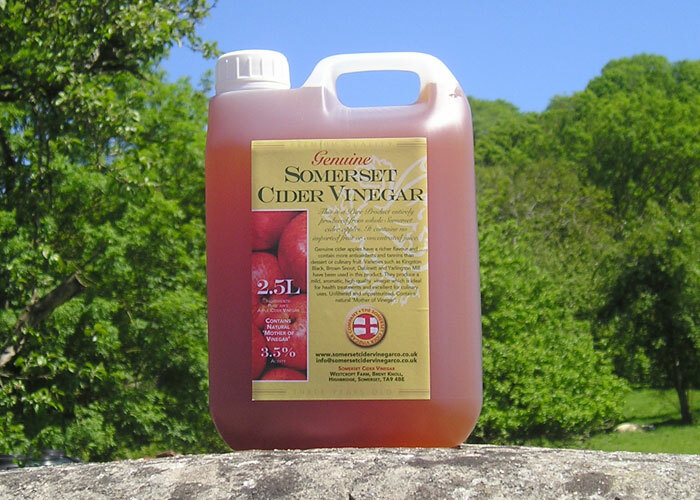 Please click the button below to order 20 litre Bag-in-Box with a tap of Somerset Cider Vinegar. Please leave a message on your order form telling us where your parcel can be left if you miss your delivery. Our Courier will text a delivery time 'window'. Notes on using the shop and delivery are below. £46.65 (plus £9.99 postage and packing). All payments are collected through PayPal but you do not need an account, just click 'Guest' and use any credit card. Carriage is for UK MAINLAND and LOWLAND SCOTLAND ONLY- for deliveries to the Scottish Highlands or Islands (including the Channel Islands, IOM, IOW, NI, etc.) please contact us before placing an order. Any order placed before 8am on a Monday will be packed that day and delivered on the Wednesday of the same week. Include a mobile phone number and the couriers will send you a one hour 'window' on the day of delivery. PLEASE SPECIFY WHERE YOUR PARCEL CAN BE LEFT IF YOU ARE OUT OR MISS THE DELIVERY TIME!